← Beswick Pottery’s “Zorba” Sixteen Piece Coffee Service Contains Strong Greek Inspiration. You will be completely seduced by this Bill Campbell vase. His use of vibrant colors and an elegant crisp form draws you into his playful world. Bill has been a potter for over 30 years experimenting and creating unique glazes that allow light to dance over the surface of his vessel. His work references the fluid forms and colors of L. C. Tiffany. 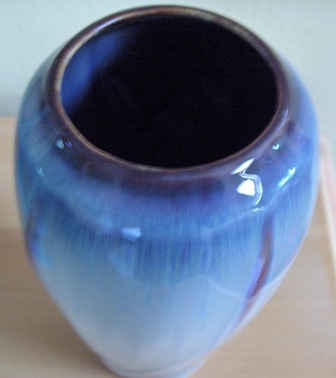 Billy Blue Eye Pottery is proud to offer this beautiful example of Mr. Campbells’ work for $85.00. 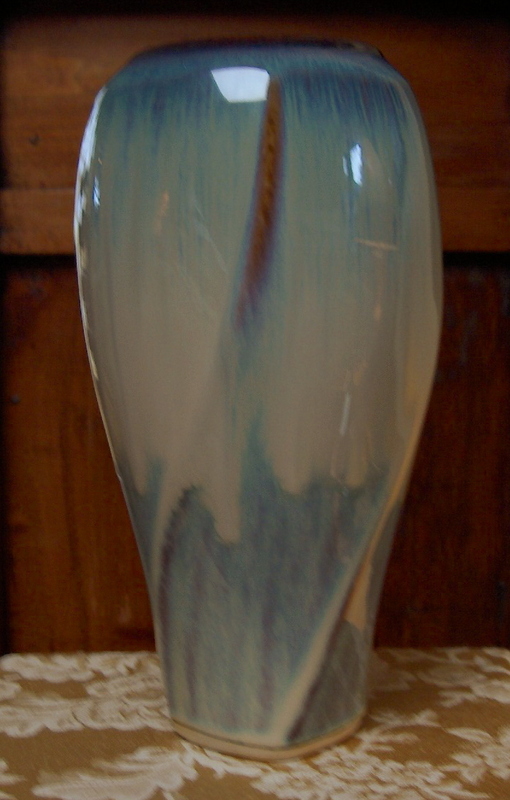 For more information and/or to purchase this vase, contact us directly at billyblueeye@cox.net. We accept MasterCard, Visa, Discover and Pay Pal and offer a full refund if not satisfied. 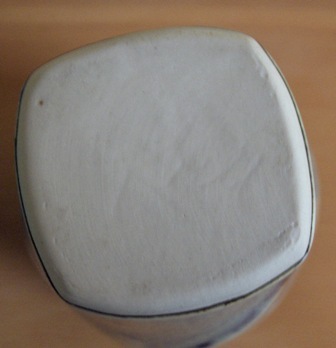 The vase is in excellent condition and other than than fading signature has no imperfections. 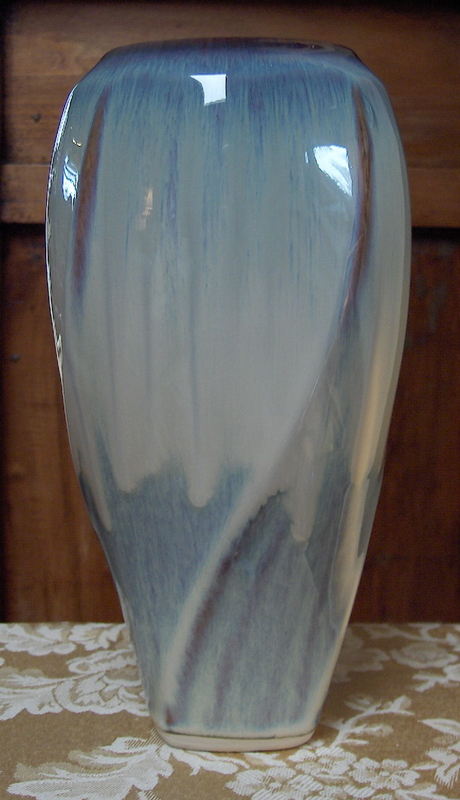 We would like to offer a huge “thank you” to our friends Linda and Carl in Georgia and to Judith, who has worked for Campbell Studios for eighteen years, for their kind assistance in researching this vase. For further information on Bill Campbell, his pottery and a gallery of his work, visit his website.